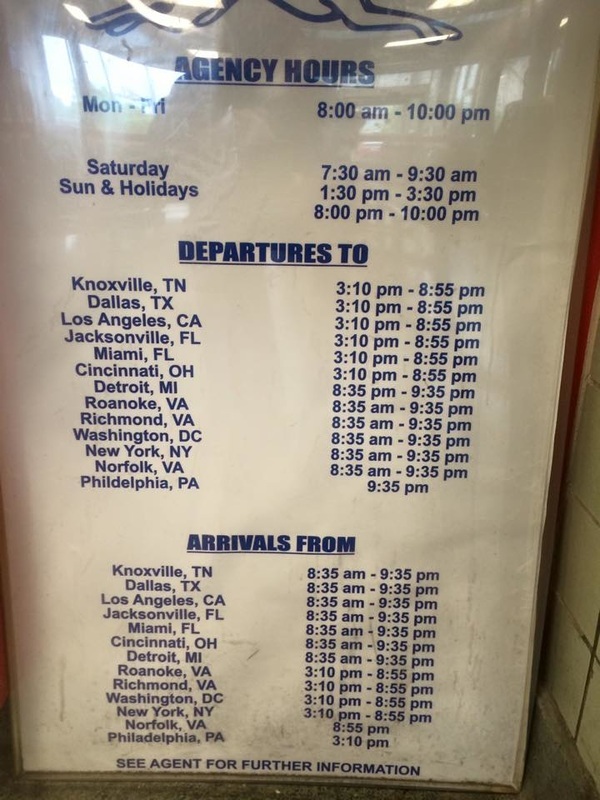 Johnson City - There is a Greyhound station in downtown Johnson City, about 25 minutes from the AT in Erwin. We regularly pickup and dropoff hikers here. This is the closest bus station to Erwin. Below is the current schedule but be sure to double check the Greyhound website for up to the date schedule information. The Greyhound website is here https://www.greyhound.com/. ​Asheville - There is also a Greyhound station in Asheville, NC about 1 hour from the trail in Erwin. This might also be a choice if you were going to start your hike in the area around Davenport Gap. Here's the station info, including address and direct phone numbers http://locations.greyhound.com/bus-stations/us/north-carolina/asheville/bus-station-340054 GIve us a call at 423-330-7416 or send us an email at hikershuttles@gmail.com if you need to schedule a pickup here.